A strategic partnership has been entered into by NollywoodWeek Film Festival and REDTV, a platform owned by the United Bank for Africa (UBA). This comes ahead of the 5th edition of the festival, which begins today, Thursday, May 11, 2017 and ends on May 14, 2017 in Paris, France. 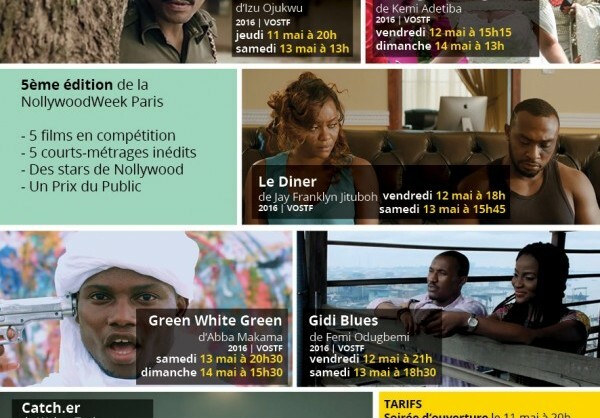 As this partnership grows, REDTV is expected to join the ranks of other major strategic partners of NollyWood Week such as Total, Air France and Angenieux who have supported the festival for several years now. As a direct consequence of this partnership, the Parisian audience will have an opportunity to get familiar with REDTV’s productions during a special session on web-series scheduled for Saturday, May 13, at 11am. Boutique Hotel, REDTV’s francophone web-series, will be screened and presented by Alexandra Amon, producer of the series and a leading actress. This new partnership, we learnt, is without a doubt a step in the right direction for the future of the NollywoodWeek Film Festival and for the African creative industries in general.